← Street Fighter V – PS4 Comic-Con 2015 Screenshots & Video ! 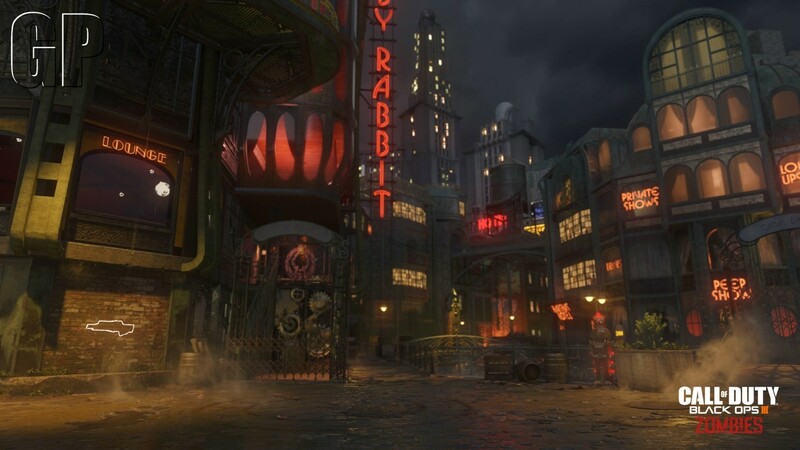 London, UK – 9th July, 2015 – Treyarch, the creators of Call of Duty® Zombies is back with, Shadows of Evil, the all-new undead survival co-op mode launching on 6th November with Call of Duty®: Black Ops III. 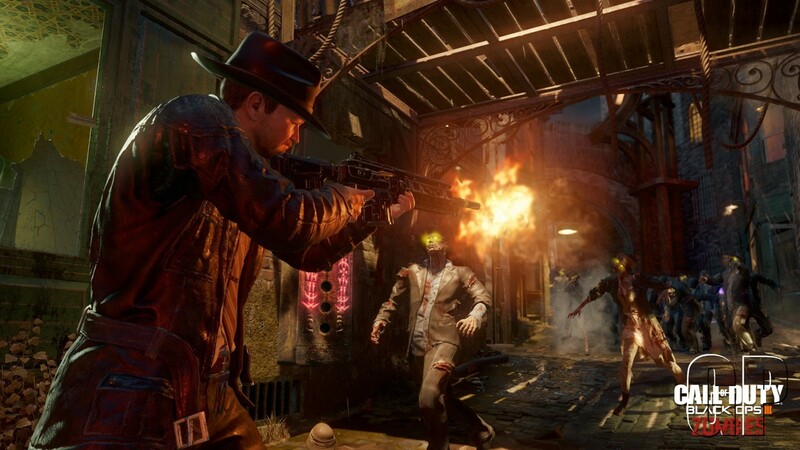 Shadows of Evil will make its world-wide debut today at San Diego Comic-Con, which delivers an incredibly rich and deep narrative and action-packed co-op survival experience that is signature to Treyarch’s strain of Zombies. Players are introduced to an all-star cast of characters, including Jeff Goldblum, Heather Graham, Neal McDonough, Ron Perlman and Robert Picardo. Making its debut at San Diego Comic-Con, the Call of Duty: Black Ops III Juggernog Collector’s Edition is the unparallelled offering for the die-hard Call of Duty Zombies fan. 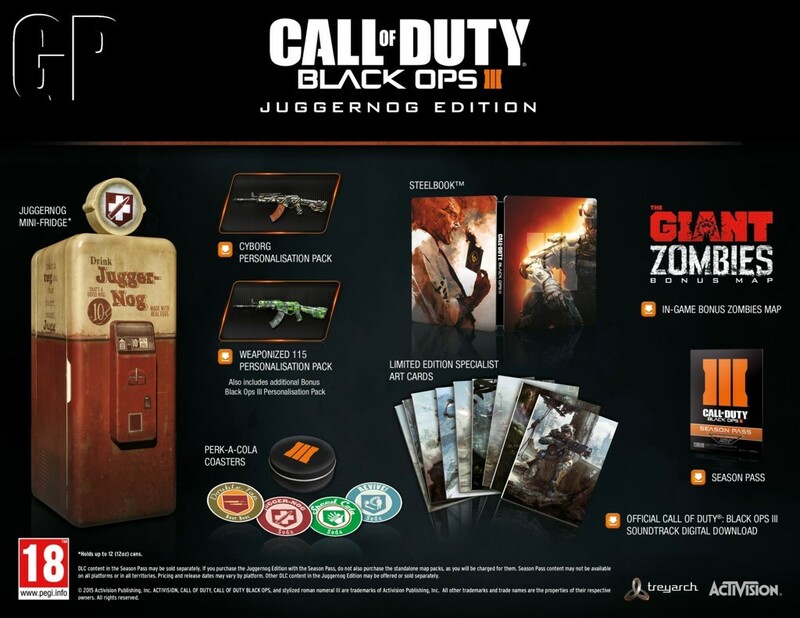 The limited Juggernog Collector’s Edition comes packed with a fully-functioning mini-refrigerator modelled after the iconic Juggernog Perk-a-Cola dispenser from Call of Duty Zombies, the Call of Duty: Black Ops III Season Pass and The Giant, a remake of Der Rise, one of the all-time fan favourite Treyarch Zombies maps. 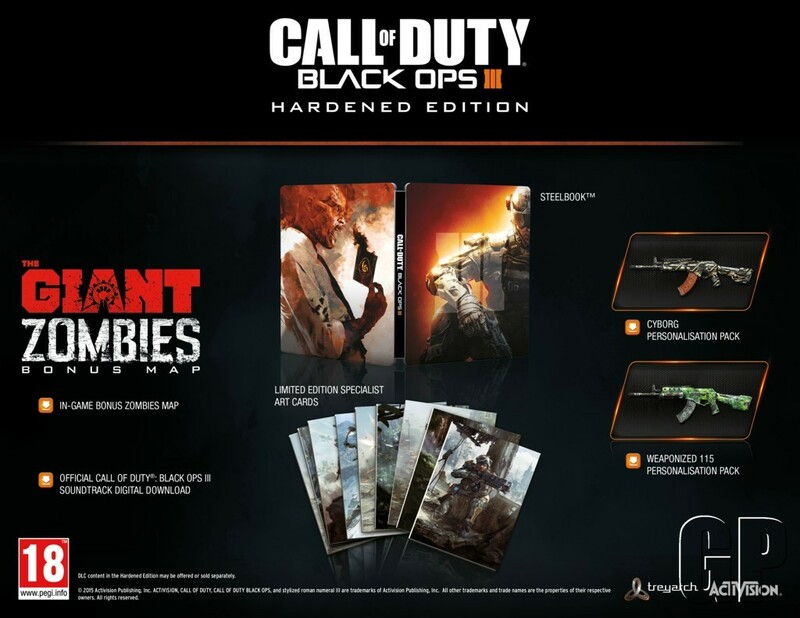 The Call of Duty: Black Ops III Hardened Edition and Digital Deluxe Edition, also include The Giant Zombies map. 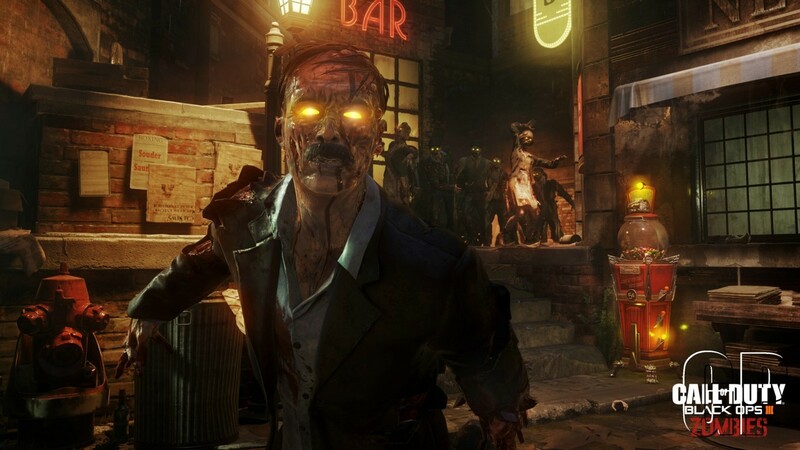 Additionally revealed today at San Diego Comic Con, Activision Blizzard launched an exciting campaign with charity fundraising platform Omaze, which gives Call of Duty fans a chance to become a zombie in Call of Duty: Black Ops III. This effort will raise money for the Call of Duty™ Endowment, a non-profit organisation founded by Activision Blizzard CEO Bobby Kotick, which funds best-in-class nonprofits helping veterans find good jobs after their service. Activision Blizzard is also matching each donation dollar for dollar up to $1,000,000. 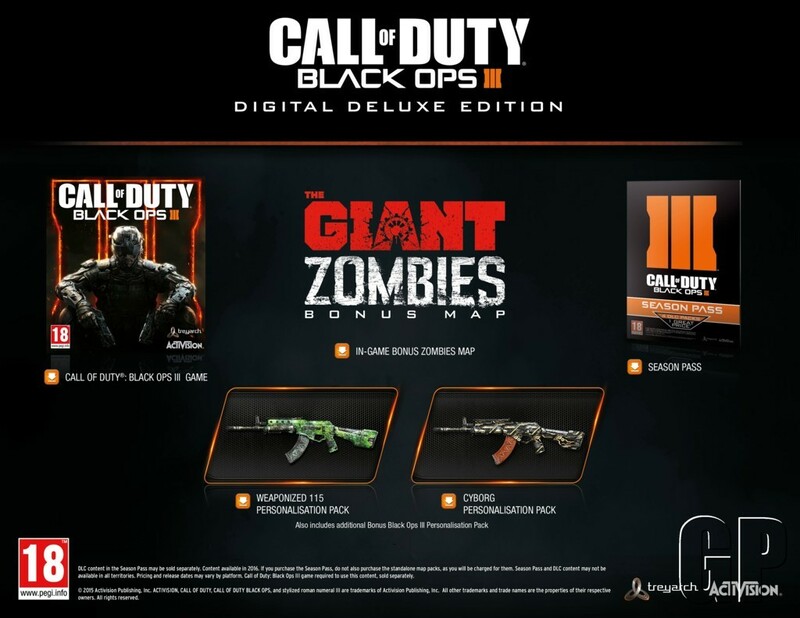 Starting today and running through 31st August, 2015, fans can enter by donating $10 or more to the Call of Duty Endowment via Omaze for a chance to be zombified at Treyarch and appear in Call of Duty: Black Ops III DLC. 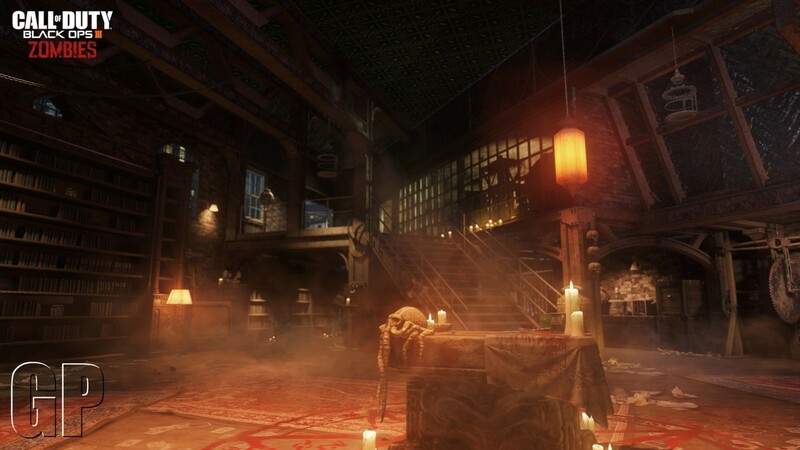 The winner will also have their name immortalised in a Zombies mode level, have lunch with Treyarch Studio Head Mark Lamia and receive a behind-the-scenes tour of the studio behind the game. For more information, fans can visit omaze.com/callofduty. Scheduled for release worldwide on 6th November, Call of Duty: Black Ops III is published by Activision Publishing, Inc., a wholly owned subsidiary of Activision Blizzard (Nasdaq: ATVI) and developed by Treyarch. The game is in development for PlayStation®4, Xbox One, the all-in-one games and entertainment system from Microsoft and PC. PlayStation®3 computer entertainment system and Xbox 360 games and entertainment system from Microsoft versions are developed by Beenox and Mercenary Technology. The title is not yet rated. For the latest intel, check out: http://www.callofduty.com , http://www.facebook.com/callofduty , http://www.youtube.com/callofduty or follow @CallofDuty on Twitter and Instagram.